Fiona Lowry, courtesy of the artist and Tweed Regional Gallery. In 2017 Sydney-based artist Fiona Lowry worked in the Gallery’s Nancy Fairfax Artist in Residence Studio to develop a body of work for a solo exhibition in the Friends Gallery in 2018. 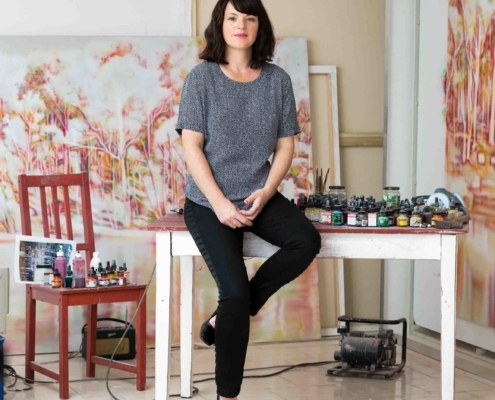 Of her time in the region Lowry said, “Initially what was interesting about doing a residency in Murwillumbah was the opportunity to revisit a landscape that I spent some time growing up in. My work often explores my own memories of place but also the history of place and this was a unique opportunity to immerse myself in my own history and to understand the history of this landscape.